We have an onsite laboratory making it easier for the fabrication of full and partial dentures and in most cases we can repair broken dentures and partial dentures in the same day. If the situation warrants we have the capability to fabricate a complete denture in 24 hours. Our onsite laboratory also takes much of the guess work out of the denture fabrication process. There is no misinterpretation of written information and no delays or damage to models due to shipping issues. We have many different styles, shades and types of denture teeth on hand so the esthetics of each full and partial denture can be customized to the desires of the patient. Each step of the denture fabrication process is under the doctor’s control and is verified by the patient before we proceed. Preventive care is the hallmark of a good dental program and the first step is to have regular cleanings. Our office operates under the philosophy that each patient is unique and therefore his or her needs and desires are unique. A program of preventive care will consist of cleanings at regular intervals, ranging from 3 to 6 months and examination by the doctor at least once per year. Dental radiographs(x-rays) are taken as needed, again based on the patient’s clinical history and not on any time table as set forth by a third party. Alisha shares the office philosophy on preventive care and places a high priority on patient education- taking the time to listen to and answer patient questions. You should never feel rushed when you are in for an appointment. Restorative care is needed when there is damage to the teeth either from tooth decay, tooth loss, or damage from accident or trauma. We offer restorative care including straightforward fillings, crowns(caps), bridges and restorations over dental implants. We also offer removable full and partial dentures. We offer more complex treatment plans and maintain an excellent working relationship with specialists both throughout Rhode Island and into Massachusetts. Communication is very important in these cases and the patient needs an understanding of how all of us will work together, this is an issue that we take very seriously and we will not proceed until the patient has a full understanding of the proposed treatment and the rationale behind it. Full and partial dentures are necessary when multiple teeth have been lost, the reason for this tooth loss is less important than the replacement of the missing teeth in order to maintain a good occlusion and allow for the patient to have acceptable esthetics and function. Full dentures especially are a very personal item for most patients and we will take the time and perform the needed steps to give the patient piece of mind that their new dentures reflect their personality and look as much like “their own teeth” as possible. Partial dentures also present an issue for many patients and we offer different types from all metal to combination of metal and acrylic to a type of partial that has no metal and is fabricated using a flexible type of acrylic. We will take the needed time to explain each type and recommend one that fits the needs of the patient. The term “mature dentition” is one that is used frequently around our office. With so much emphasis placed on cosmetic dentistry and esthetics many patients are at a crossroads in their dental care. Our philosophy is that the most important issue is that the teeth and supporting structures are sound and healthy, secondary to that is the esthetic appearance of the teeth. 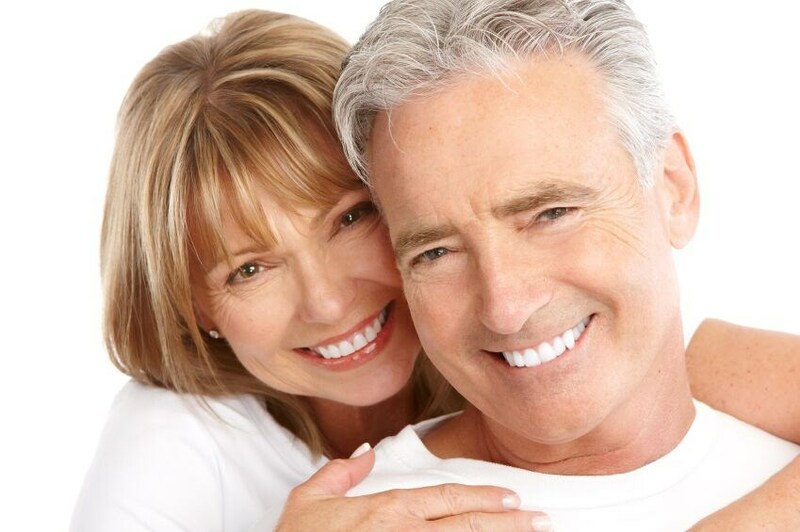 As we age our dental needs change and many treatments that are routinely used to treat issues with the 28 year old tooth are not always the first choice in treating the 68 year old tooth. Medications and health conditions have an effect on the environment in the mouth, especially the saliva flow, and this fact often plays a role in the choice of restorative methods and materials. We will explain all options and rationale for treatment to the patient’s satisfaction before treatment is started.